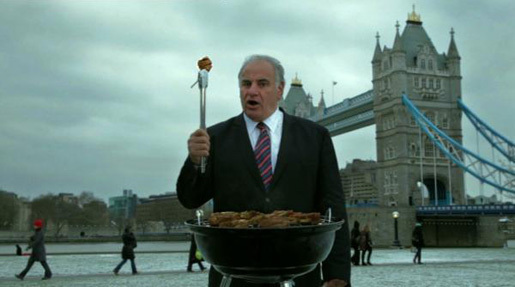 View Sam Kekovich’s 2011 address online at The Main Meal. Follow Sam’s 2011 crusade at www.lambassador.com.au. Follow his quest on Facebook. The Sam Kekovich campaign was developed at BMF, Sydney. Filming was shot by Jungle Boys. Post production was done at Jungle Boys and Emerald City Design. Sound was produced at Sound Reservoir, Sydney.